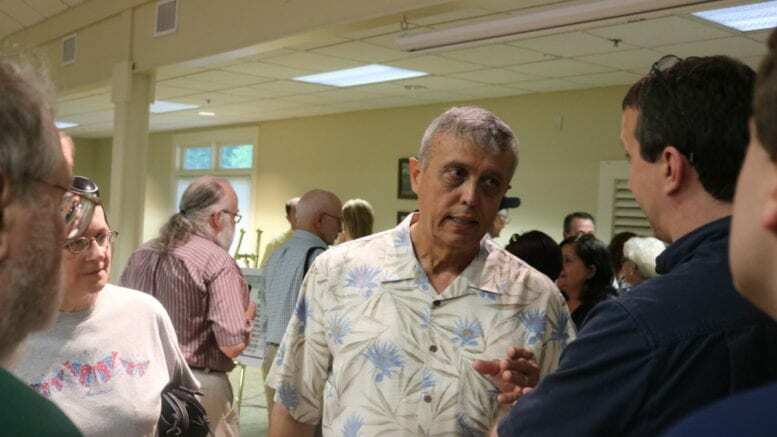 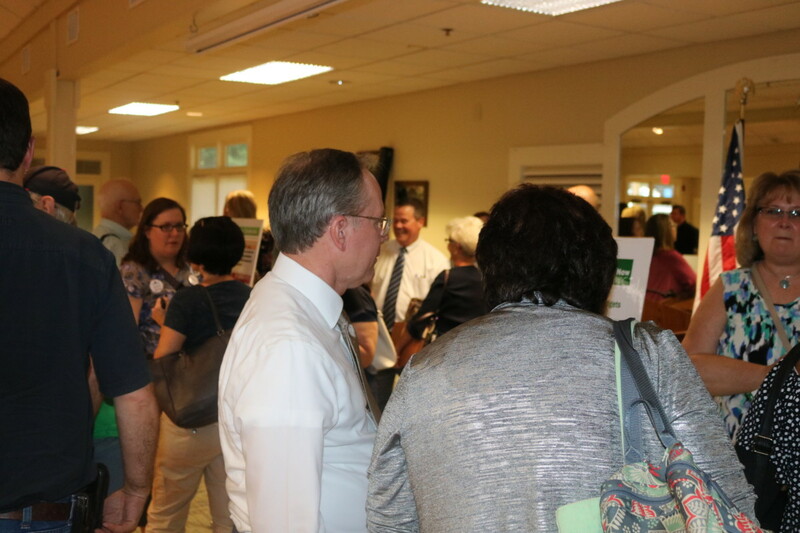 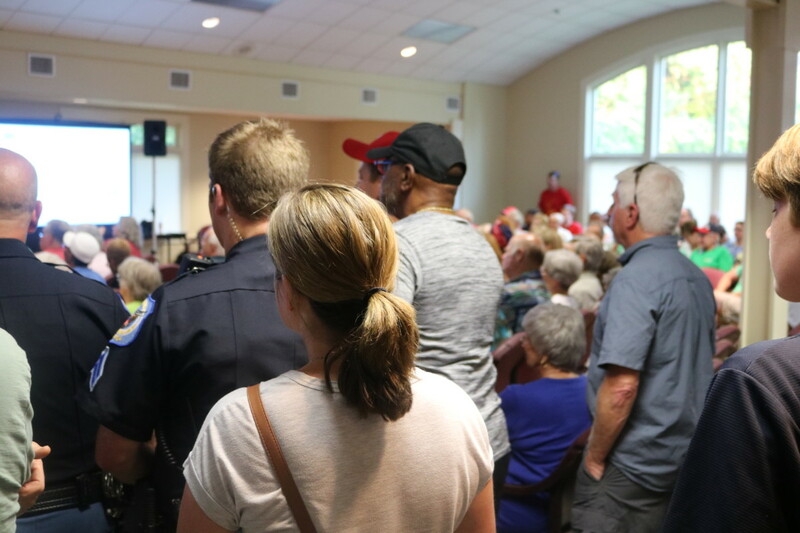 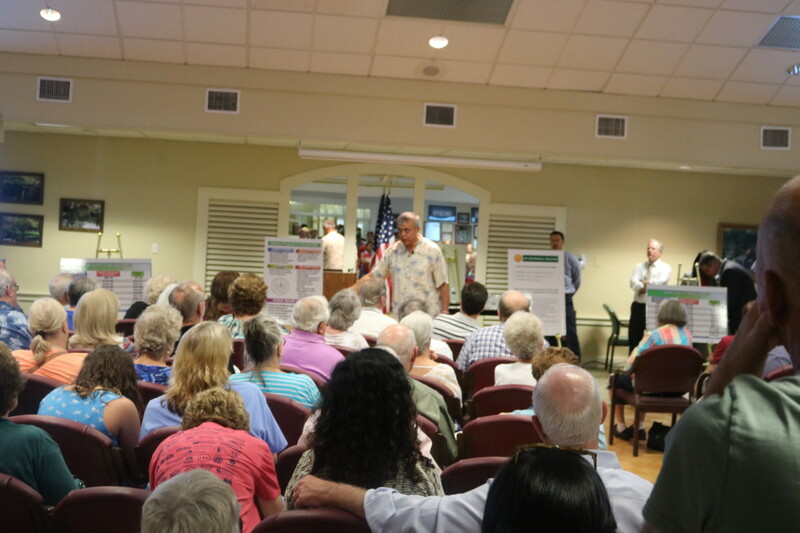 Cobb County commission chairman Michael Boyce gave a pitch for a 1.7 mill tax increase before a packed, largely sympathetic audience at the budget town hall meeting in the East Cobb Senior Center Monday evening. 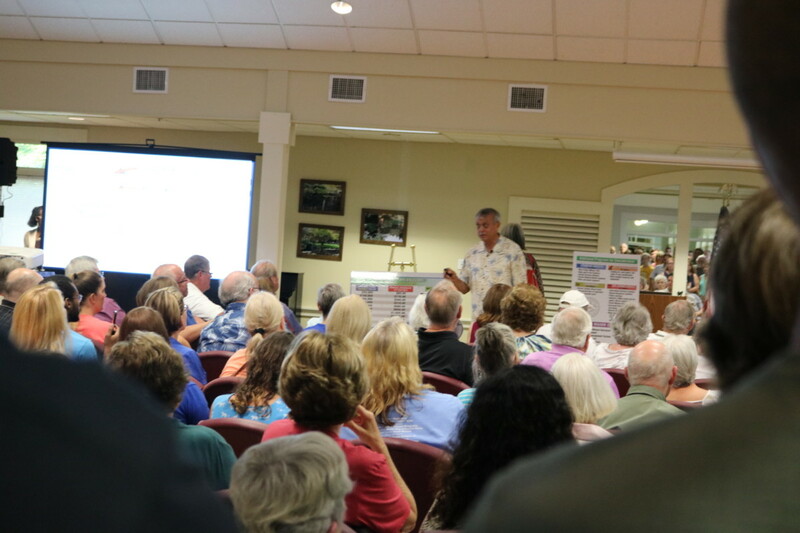 He came prepared with a video and slide presentation to build his case that without the increase the county would not be able to pay its bills, would have to cut services, and would run the risk of losing its AAA credit rating. 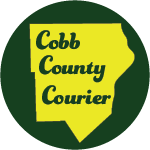 The information he presented is available as an online presentation entitled “Cobb’s Budget Journey”, developed by Cobb GIS. 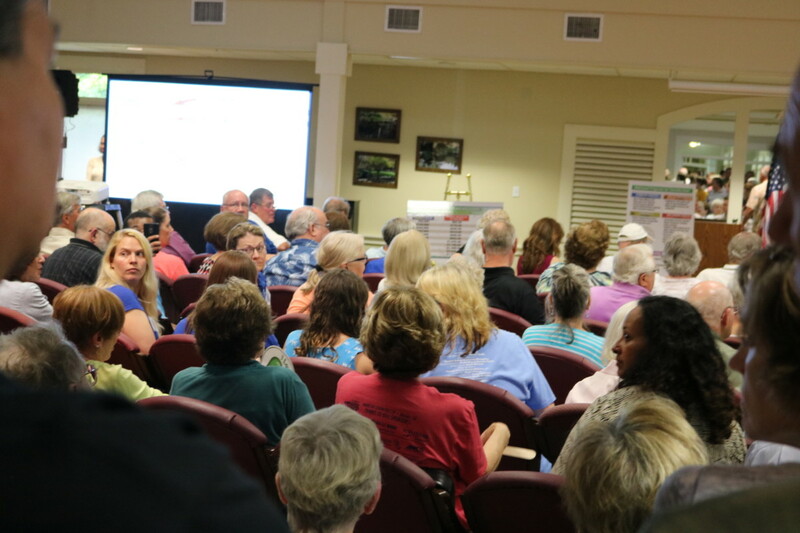 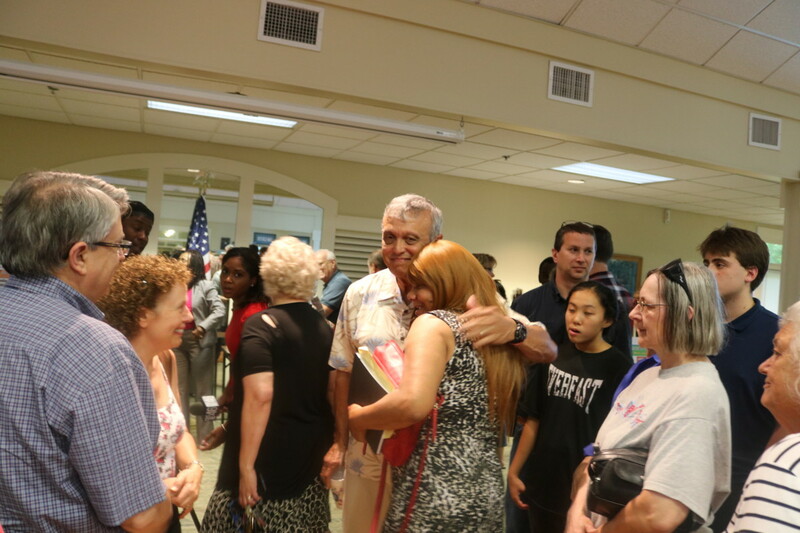 The senior center meeting room was filled to capacity, with many people standing in the back of the room and in the hallway. 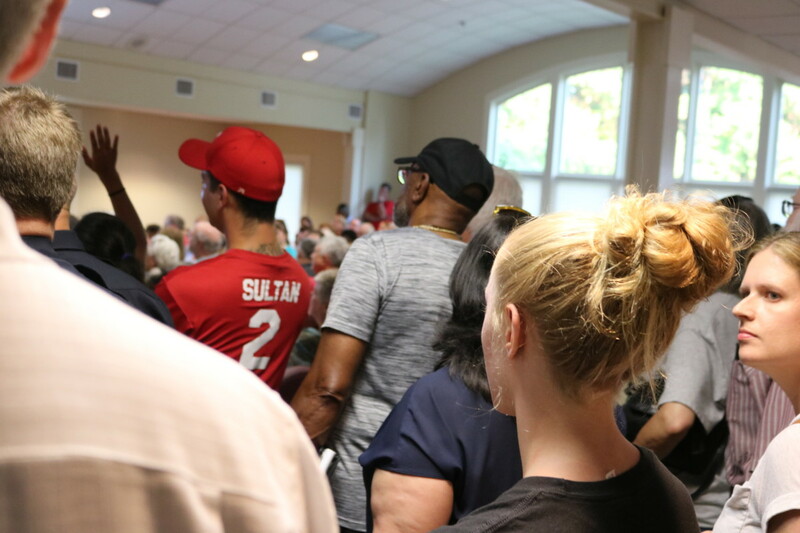 There was no evidence of organized tax revolt, and even the pointed questions from the audience expressed anger at effects of the stadium deal rather than the proposed tax increase. 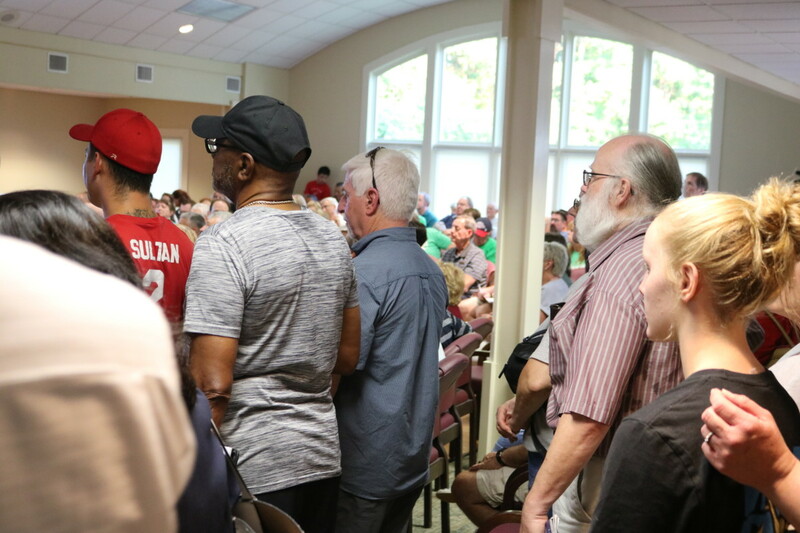 One woman asked what guarantee residents would have that the commission wouldn’t come back next year with another tax increase request. 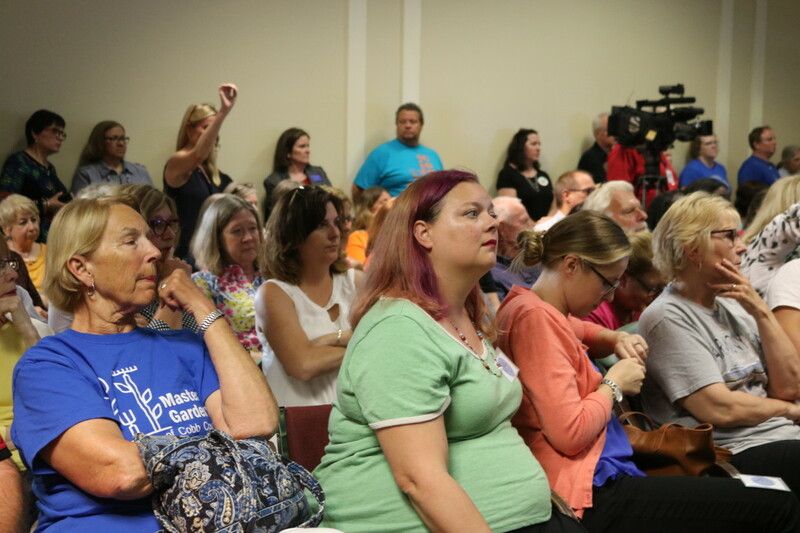 Boyce answered that it is impossible to predict what might happen in the future, but that the 1.7 mill increase should be sufficient to cover the budget gap, and that he had no intention of asking for further tax increases. 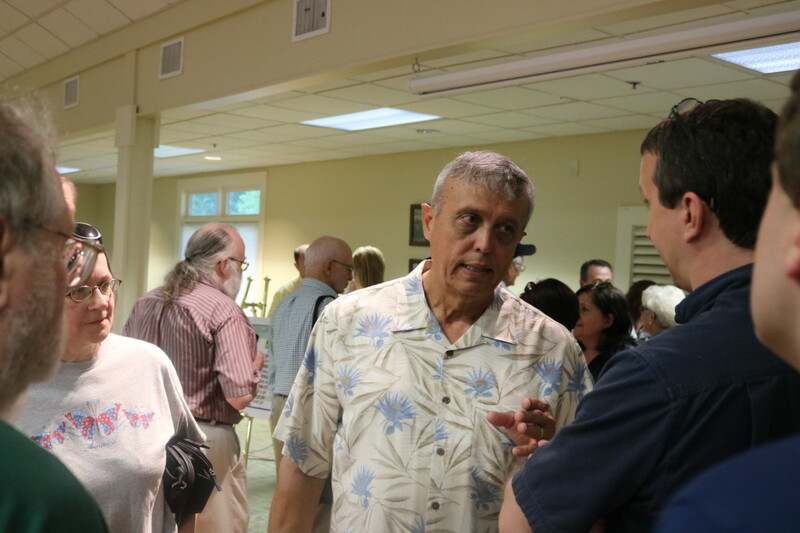 The crowd laughed at Boyce’s jokes and applauded at various points through the speech and the Q&A. 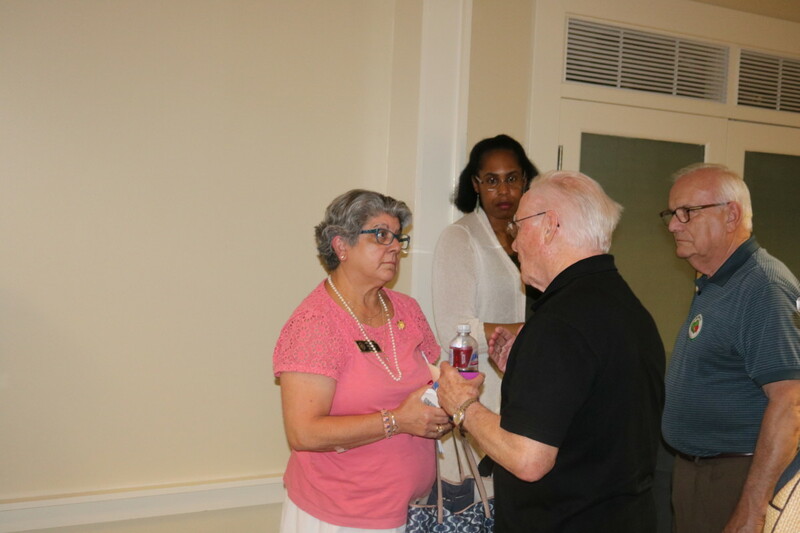 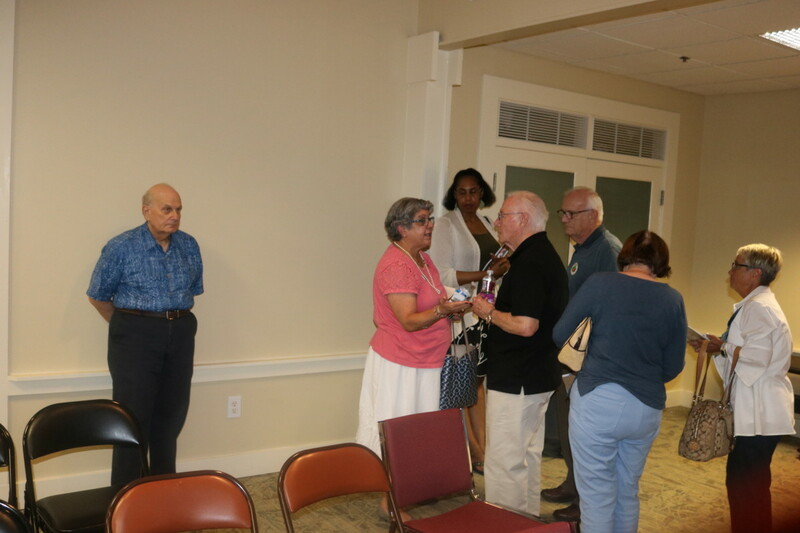 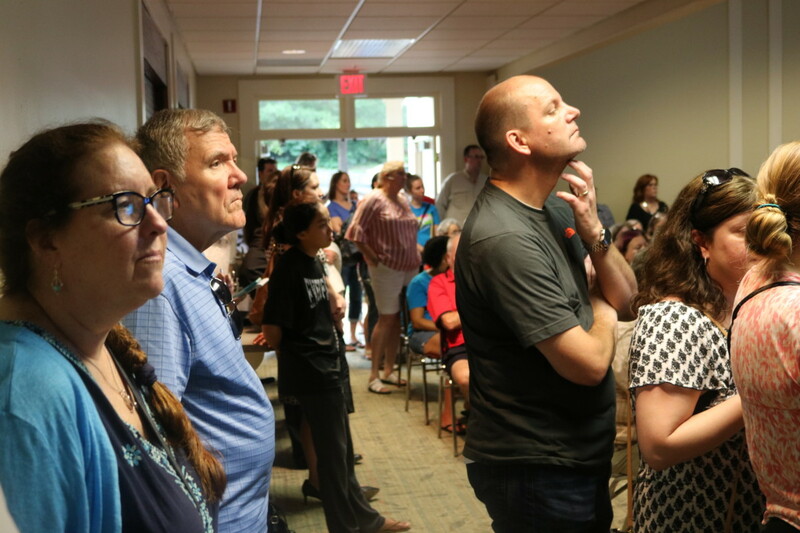 District 3 Commissioner JoAnn Birrell, who represents the portion of East Cobb where the meeting was held, was at the meeting and answered questions from constituents after the meeting ended. 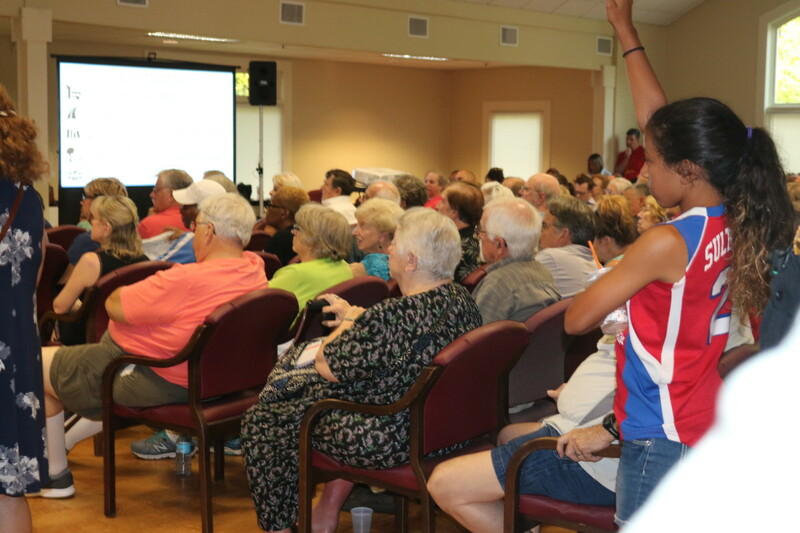 This was the first in series of town halls and hearings to be held before the BOC votes on the tax increase and the budget in July. 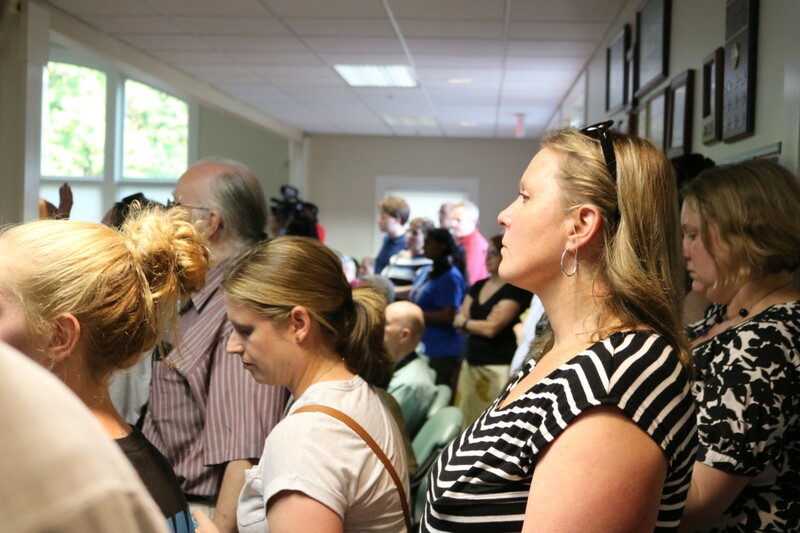 Tuesday, July 10 at 9 a.m.
Tuesday, July 17 at 6:30 p.m.
Wednesday, July 25 at 7 p.m.